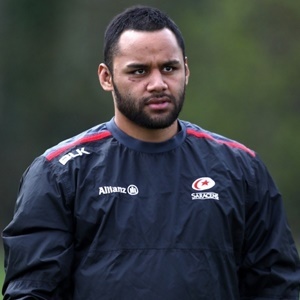 Cape Town - Billy Vunipola is set to miss the beginning of the Premiership season with the shoulder injury that kept him out of the Lions tour. The bulldozing England and Saracens eighth man has not recovered from his May operation and looks set to sit out the first month of Premiership action. “Billy is due back some time in October but in true Billy style, he will make it back before that. He is chomping at the bit and the medics are taking care of him, but it won’t be long,” Saracens director of rugby Mark McCall told Express.co.uk. Saracens will carefully manage their players that took part in the Lions series. George Kruis should be ready for the start the season. Owen Farrell, Maro Itoje, Mako Vunipola, Jamie George and new signing Liam Williams will be drafted in throughout September. “We do think that we need to take a long view. As a club we are not looking to get our pound of flesh out of the guys,” said McCall.